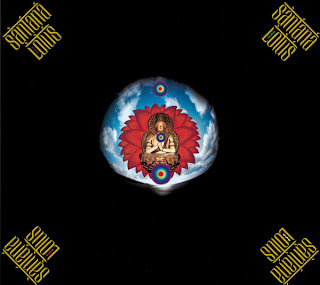 Lotus is the first live album release by American Jazz rock/ fusion act Santana. The album was recorded on the 3rd and 4th of July 1973 in Osaka, Japan and released on Colombia records in May 1974. The original LP version ( which was meant to be a Japanese only release) is a triple vinyl while the most common CD version is a double album. There is a Japanese triple CD version available too which was released in 2006. The song selection comes from the albums Abraxas (1970), Santana 3 (1971), Caravanserai (1972) and Welcome (1973). There are also a couple of new tracks that hadn´t appeared on any of the earlier studio albums. The lineup consists of a mix of the members from the original Santana group and the members of the post-Caravanserai Santana lineup. Somewhere in the mid '70s I lost the connection with Santana. Maybe I thought they were getting too commercial, whatever. But I completely missed the boat on this wild slab of Latin/psych/fusion. Plenty to digest on this double disk set, and thanks for bringing this gem to my long overdue attention. When I saw this listed in your archive I had a moment of hope that this would be a vinyl rip. Lotus was a 3 lp set condensed to 2 cds. Missing is a masterful 20 minute version of 'My Favorite Things' a la Coltrane.